Test how you will perform in the real exam. Identify and strengthen your weak areas. Predict your rank and score. I am very impressed by your teamâ€™s effort to make AIEEE preparation so easy and exciting. Pankaj is an IIT Delhi graduate. He is currently pursuing MS (Photonics) from KTH Stockholm, Sweden. Nishu has done B.Tech from AMU. He has been teaching Mathematics for almost a decade and helping students prepare for competitive examinations. He also has experience of teaching class XI and XII syllabus to students in schools in India and abroad such as DPS Sharjah, DPS Riyadh and Indian Embassy School, Dammam, SA. He is rated as the best Mathematics teacher for AIEEE preparation. Mr. Rajender Shah; Senior Physics teacher and HOD (Science) at G D Goenka Public School, Vasant Kunj New Delhi for the last 10 years. 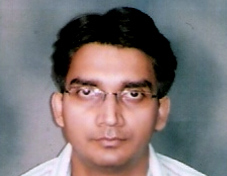 He has also taught at DPS, Vasant Kunj, New Delhi. 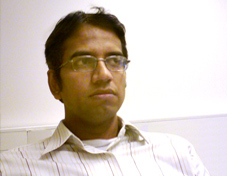 Dynamic and brilliant, Rajender Shah breathes and lives physics. Popularly known as Shah Sir, his students vouch for his out of the box teaching methodology that makes physics simple and interesting to them. 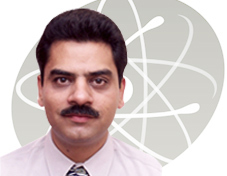 Having done his Masters in Physics from University of Kashmir and degree in Education from M D University, Rajender Shah followed his passion for physics by teaching, writing books and coaching students successfully for competitive exams for last 19 years. Down to earth, practical, flexible, he has the innate ability to sense the students' pulse and guide them accordingly. "I am really impressed by the material available. I could not join coaching classes due to financial constraint. But Topchalks has made it simple for me to study from Top teachers. It is really helpful for them who are not rich." "It is difficult to move out of family to study in a different city. I was reluctant to send my son out. Topchalks has brought best of education at my home. I am a very grateful mother. Thank you very much." "I wish my elder brother also had Topchalks support 5 yrs back while preparing for IIT-JEE. Thank you Topchalks for this wonderful solution." "I am very impressed by your teamâ€™s effort to make AIEEE preparation so easy and exciting"